1. Put yourself in the course. 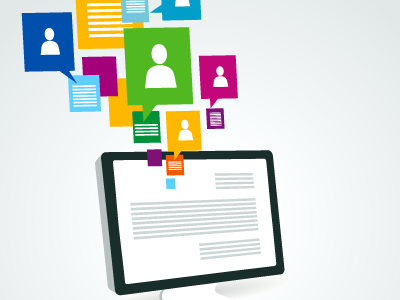 This blog has covered the need to personalize the online experience for students. One great way to promote engagement and get the students to know you is to make sure that “you” are in your course. This can be done in a number of ways. Uploading a digital photo, providing a Welcome to the Course video, using audio & video to introduce assignments or give feedback and just finding ways to add your personality to the course are just a few examples. 2. Invite students to be the co-pilot on their learning journey. In much the same way you can personalize the course for your students, your students can establish a social presence and take ownership of their learning journey. They do so by uploading their photo, using audio/video tools and building a network of learning within your online course. They can also be content builders when it comes to providing useful content in the online course with wikis, discussions and other interactive tools. 3. Have your students get “pushy” because there’s an app for that. Push notifications are everywhere these days. In many ways they prompt your students to interact with their work, friends and world around them. Any major LMS like Blackboard allows students/instructors to enable push notifications to mobile devices to offer reminders about due dates, added content and to interact with each other and the course. Push notifications are little engagifiers that prompt you and your students to interact with the course and to become engaged with the learning process. 4. Provide academic and technical instructions. When you set up your course it is easy to remember to give your students the academic logistics around their course work. They are provided with assignment length, citation criteria and even word count to help them figure out assignment parameters. In many cases, a major disconnect develops for students who don’t know how to use the software tool to submit the assignment. So, remember to provide students with a one or two sentence “how-to” for instructions on uploading or participating in the course activity. If the activity is complex a link to a full set of instructions may be needed. 5. 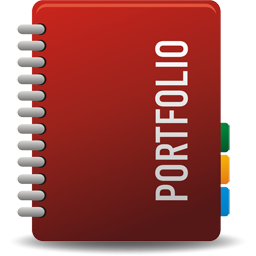 Broaden your portfolio when it comes to course activities. Imagine having to eat the same meal 3 times a day 5 days a week. Not very appetizing is it? Now, take those thoughts and apply them to your course. Does your weekly activity look suspiciously like reading, discussion, assignment & quiz? Mashed potatoes again? Try to liven up your course by adding new/different tools. Instead of a reflection paper, have your students do a blog posts instead. Changing up the order of the routine alone can also be a primer for student engagement. Tip number #5 is so crucial, yet something many people fail to follow. It’s so easy to get into a rut, and just stay there. But online learning is a living, changing thing, and we need to stay current through trying new e-learning techniques and reading all the new developments in our field. Great advice, and great article!